Caring for an ailing family member is difficult work, but it doesn’t necessarily have to be unpaid work. There are programs available that allow Medicaid recipients to hire family members as caregivers. All 50 states have programs that provide pay to family caregivers. The programs vary by state, but are generally available to Medicaid recipients, although there are also some non-Medicaid-related programs. Medicaid's program began as “cash and counseling,” but is now often called “self-directed,” “consumer-directed,” or “participant-directed” care. The first step is to apply for Medicaid through a home-based Medicaid program. Medicaid is available only to low-income seniors, and each state has different eligibility requirements. Medicaid application approval can take months, and there also may be a waiting list to receive benefits under the program. 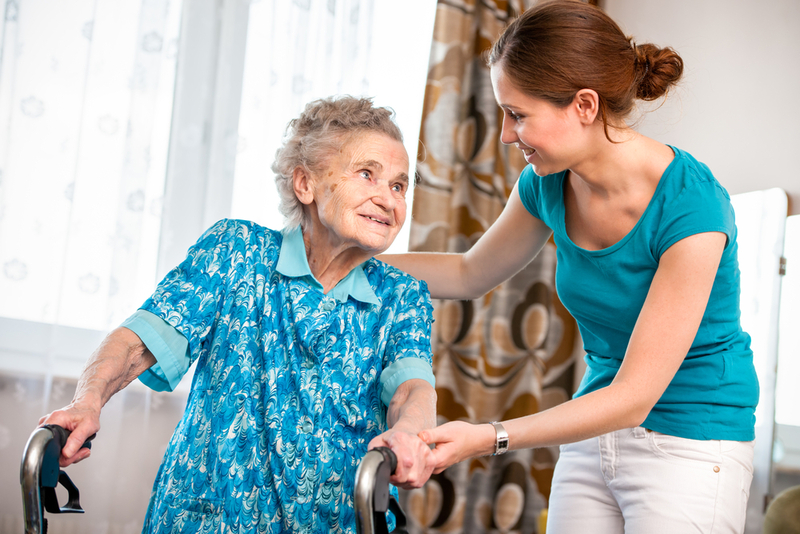 The state Medicaid agency usually conducts an assessment to determine the recipient's care needs—e.g., how much help the Medicaid recipient needs with activities of daily living such as bathing, dressing, eating, and moving. Once the assessment is complete, the state draws up a budget, and the recipient can use the allotted funds to pay for goods or services related to care, including paying a caregiver. Each state offers different benefits coverage. Recipients can choose to pay a family member as a caregiver, but states vary on which family members are allowed. For example, most states prevent caregivers from hiring a spouse, and some states do not allow recipients to hire a caregiver who lives with them. Most programs allow ex-spouses, in-laws, children, and grandchildren to serve as paid caregivers, but states typically require that family caregivers be paid less than the market rate in order to prevent fraud. In addition to Medicaid programs, some states have non-Medicaid programs that also allow for self-directed care. These programs may have different eligibility requirements than Medicaid and are different in each state. In some states, veterans who need long-term care also have the option to pay family caregivers. In 37 states, veterans who receive the standard medical benefits package from the Veteran's Administration and require nursing home-level care may apply for veteran-directed care. The program provides veterans with a flexible budget for at-home services that can be managed by the veteran or the family caregiver. In addition, if a veteran or surviving spouse of a veteran qualifies for aid and attendance benefits, they can receive a supplement to their pension to help pay for a caregiver, who can be a family member. All of these programs vary by state. Contact your elder law attorney to find out what is available in your state. To find an attorney near you, go here: https://www.elderlawanswers.com/elder-law-attorneys. For more information about these programs and other ways to be paid as a family caregiver, click here and here. Attorney Laurel Mangan, Elder Law Attorney serving Vernon, CT and families throughout the state. I consent to Laurel D. Mangan, Attorney at Law collecting my details through this form.